We are committed to providing quality financial advice in an open and friendly environment. Find out how we can help to enhance your financial well-being into the future. for updates on markets, strategies and regulatory items. We want to partner with you, to collaborate and understand what success means to you or your business. We want to listen, and understand your journey, where you want to go and what got you here in the first place, so that we can provide the very best advice. We will provide solutions to give you security for the future ensuring your wins and successes stick around for the long-haul. We will strive to help you achieve financial freedom – whatever that looks like in your circumstance. Take our 5-Minute Financial Health Check’ to determine your financial priorities. Click here to learn more about our comprehensive review process. A Special Disability Trust (SDT) is a trust established primarily for the current and future financial needs of a person with a severe disability or medical condition. SDT’s enable parents and families of severely disabled people to take control of their loved ones’ care and accommodation needs for the duration of their lives, providing peace-of-mind that they will always be looked after. 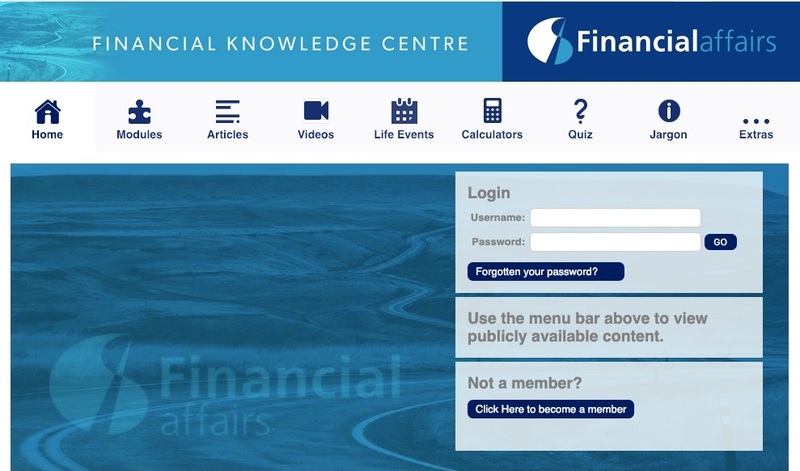 Our Financial Knowledge Centre provides you with a useful online resource to help you grow your knowledge about money and how to manage it. You can access learning modules, videos, calculators, articles, quizzes, and to learn about a whole range of different financial concepts and strategies. Financial Affairs delivers a powerful seminar on The Power of Food!